How much time does extra weight cost on Alpe d’Huez? Ever wondered how much difference it would make if you made your bike lighter? I guess most serious riders once in while have concerns about their bikes whether they are light enough. 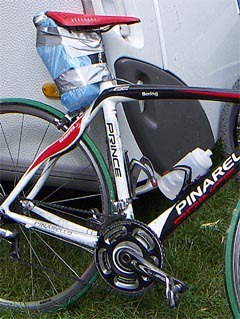 As previously described the bike weight has impact on performance – especially during climbing. Thus, I thought it was interesting to find out how much difference it makes if you ride a heavier bike up alpe d’Huez. This little trial was performed by the best rider I coach as a part of his preparation for Tour de l’avenir (U23 Tour de France) in September 2008. This setup was quite interesting and got quite a lot of attention the day before when he had a puncture..! It was possible to fill 900ml into each tyre. Reducing weights on wheels is more important than reducing weight on non-rolling equipment e.g. bike saddle. 2. Normal bike + 1,8L extra water on bike. This setup also got some serious attention because he rode a relative fast pace compared to most riders visiting Alpe d’Huez. Thus, when he performed the trial, well-trained riders were trying to keep up with his pace because this setup looked so extreme. This setup was a completely normal bike. 4. Normal bike, reduced tyre pressure only 3 bars. The last setup was ridden with reduced tyre pressure to 3bars. This was a tough finish on the last ride up Alpe d’Huez this day. 1,8L extra weight costs 1.54min up Alpe d’Huez. This is a remarkable test that shows us how important weight savings are when you are riding on steep hills. Also it shows that weight savings on wheels might be more important than weight saving on non-rolling equipment. These trials were only possible because of his SRM Crank that made it possible to compare each ride up the hill. You can make similar trials to test your bike setup if you want to optimize your bike equipment. These tests can be extremely helpful for e.g. time trialists if you don’t have wind tunnel in the neighbourhood. Want to learn more? Read more good stories and training tips from Jesper. How did he get the tires filled with water? I tried that with a football once, and it wasn’t easy to do. He didn’t descend with water in his tires, did he? interesting but i’m not sure that you can make the conclusion that wheel mass is worse than frame mass. Although the SRM allowed the rider to keep the power levels similar there are slight differences. In order to draw conclusions some normalisation has to be done. Taking the normal run (#3) as the bench mark and assuming the 278w is the average for the climb, the total energy used for the climb is 828440J. The difference between the heavy wheel and heavy frame (#1 & #2) runs is about 0.15% in total energy required. This is in the range of the typical measurement error. This implies that if the rider put out the same power for each set up the time would be the same. From the above numbers I would conclude that it doesn’t matter where the weight is located (rotating vs non-rotating). Thanks for commenting. You’re right, we will need (a lot) more riders to make these results statistical significant. Also there is a couple of other concerns like the weather and the rider’s body weight troughout the day. It is certainly non-scientific, but still, I like the setup and think other riders should try similar things with their power meter mounted. These results shall be seen as an example of how you can make your own field studies using a power meter. Conclusions shall be made with the above comments in mind. Ps. The rider who performed this workout finished 26th overall in Tour de l’Avenir yesterday. Our local ‘Alp’ (Jebel Hafeet, Al Ain, UAE) is pretty similar to Alpe d’Huez in length and gradient, I’ve ridden both dozens of times. I recently lost 10 kgs and my times up it improved……exactly 10 minutes. My impression is that your 1 min/kg of weight is pretty accurate on similar climbs. I suspect the biggest improvements come not on a single climb, but, with reduced cumulative fatigue, at the end of multiple climbs, i.e. a long day in the mountains. I’m thinking the tyres[sic] (sorry, american speller here) may have had some free surface effect issues, hence pushing the time down. I’m almost positive that you could not have removed all the free surface, so the sloshing would have cost you time. You’re right, there are several problems with water in tyres. I’m planning to do another series of tests this summer so there we will try some different wheelsets instead. Interesting test but it is inconclusive whether it was the addition of weight in the tires that slowed him down. For example, just looking from the way you setup the tests, you made him do the run with the watered tired first. Could you prove that for the first 3 tests, it wasn’t the rider’s adaptation to the climb that made him do better and better? And the power consumed was highest when he had his normal bike? Thats odd, especially to your point in the beginning of the post. What kind of adaptations should make the rider faster up Alpe d’huez? The test rider was supposed to deliver a constant power output, not to ride as fast as possible. Contant power output shouldn’t be affected by motivation or physical stress. 1W = 1W ~ happy or not. Awesome! I’m just about to do the Alpe Duez Triathlon and this is only decent article on weight, scientific enough for me, I’m trying to decide on whether to use my p-tap or not, appr 1200 grams, or Mavic Ksyriums. By the way how much did yout test rider weigh? Thanks for the test. I live at the base of Alpe d’Huez running a cycling holiday company and keep plugging away at my fastest time – now have a brand new bike on the way which is a few pounds lighter – wonder if it will have any effect ! Heavy tyres mean more rotational inertia to overcome. As a result they affect acceleration much more than they will a steady tempo climb. One important thing to check if you’re doing exercises like this- did the measured distance traveled change between runs? The distances I get when doing a long climb like this always vary by a bit from attempt to attempt. I’m curious what the rider’s weight was. From a physics perspective, unless you’re braking during the climb, rotational inertia adds only the energy proportional to the difference from the squares of the final velocity to the initial velocity. Sure, there’s accelerations during the climb where the tires slow you, but also decelerations where rotational inertia helps maintain speed. This difference in kinetic energy from beginning to end associated with the water in the tires is a small fraction of a second. A bigger effect is probably rolling resistance from the fluid moving around in there. I was rather shocked at the small difference of using 3 bar. Interesting! I read ascientific article somewhere with various formulas. I then applied it to a hill approx 1500 feet and a few miles up it. The conclusion was every lb lighter ment i beat my “clone” up the hill by one minute. Took me 10 months but i lost 18 lbs of body weight. I ‘m too scietific to objectily verify the results but I sure climb better! Incidenly, The tour de france spotted jersey riders average 2 lbs/inch of height. THeir average over the years is 140 lbs. im 72 inches tall and 175 lbs == should be 142 lbs as ideal climber. It always amazes me how 90 lb skiny women pass me on a hill– yes weight and climbing are linked! This is great, I was looking for some kind of study that showed what kind of differences weight actually matters. I’m deciding on justifying how expensive and light my new bike will be. Also the rotational weight vs not is extremely interesting. I didn’t know it only helped in accelerations! The SRMs have the ability to read the cumulative power output for a whole ride. Reporting the cumulative kCal/kJ burned over the whole ride would eliminate both the time and wattage variables. You don’t happen to still have the SRM files for those rides do you? I wonder what they say about total work done (kCal/kJ) over the ride. Regarding the weight question. So much time, effort and money goes into producing the lightest bicycle possible, something that amounts to nothing more than 1 or 2 pounds. I wonder why the weight of the bicycle is so important when the competitors themselves are of such variable body frames and therefore weights. Is it invariable that a thin, small framed rider has an extraordinary advantage over the heavier one and, if so, why is the weight of the bike such an important issue? Another way of putting the questiion is, if weight is such an important issue, how can a world class heavier-set biker possibly hope to compete against a world class lighter, smaller framed biker? I don’t think anyone says “I saved 50 grams off my bike, so I won’t bother losing that kg now”. They’re all independent. You take what advantages you can. Enough little differences add up to large differences, and in any case races are often decided by small differences. This page, BTW, helped inspire me to reduce the pressure in my tires. You can see even 3 bar had a relatively small effect on even as smooth a road as L’Alpe d’Huez. Certainly dropping my tires to a substantially more comfortable 5.5 bar on the rough roads I encounter in the San Francisco will, if anything, make me faster by keeping me fresher. The 3 bar can’t be right can it? Rider weight with 3 bar will make a huge difference but 3 bar for me and the tyre would roll off the rims on the bends! Makes for great reading though. @Pascal and DjConnell – I agree with you. I guess dehydration is probably the reason why 3bar looks so surprisingly good. Putting water in the tubes adds more variables than just weight. Energy will be lost to water flowing internally. Of course if you want a really good study looking at bike weight and type and how this effects the average speed achieved you need look no further than mine done recently – Weight Matters: A study. Physiology is decidedly non-linear and can make a huge difference. If your lighter bike allows you to set a pace just high enough to put a person on a heavier bike in an unsustainable zone, the difference at the top will be far higher than a minute or two. Physiology will amplify small differences when effort is high, but doesn’t matter so much if you are working well within your comfort zone. Also, acceleration is always applied to the bike since a cyclist works against decelerating forces (especially on hills and in the wind) even at constant speed. If not, we might be able to get ourselves up to 20-30,000 mph by the end of a modest effort ride. Biff, force is always applied to the bike to counteract the effect of decelerating forces. When the forces balance, the velocity is constant. When the velocity is constant, the bike is not accelerating–no extra energy is being put into the bike to increase its linear or rotational kinetic energy. To accelerate, extra force is required. As you note, the way that climbers typically bury guys is not by riding a high tempo or velocity (which only gradually digs a physiological hole for the heavier guys), but by accelerating and slowing a few times. Riding alternately at 200 W and 800 W is much tougher than holding 500 W steady. High end bikes vary from 15 to say 18 lbs. Riders really vary, but this is off set by factors such as strength, endurance efficiency and spirit. Most cyclist have slow twitch muscle. Conceptually there are climbers, steady pacers and sprinters. Climbers are 140 lbs and under, steady pacers are 140-160 and sprinters are 170-200. Sprinters need raw power over a few 100 meters to perhaps 1000 meters. Acceleration requires high “horsepower”, high power to weight ratios and fast twitch muscle. 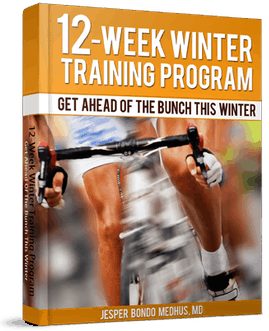 Look at velodrome riders or 100 m dash sprinters – body builder builds. The heaviest Tour de France sprinters are almost 200 lbs. They have fast twitch muscle. The steady pacer is the most common. The biggest mystery to me is how can guy ride 200 kms then hit 50- 70 kms/hour in the last 500m of a race, sometimes up hill? The similar effect of the 1.8L water in tyres vs. on back of seat is no coincidence. That is because it is a climb at mostly steady speed (the aim was to keep constant wattage). Therefore they were both measuring the effect of the weight of the water (1.8kg) up the hill. Sloshing would account for the slight differences. Extra weight in the wheels affects acceleration most. So if the test was a series of sprints then I would expect a big difference between these two scenarios. What about body weight? What effect does that have? Say a 160 lb cyclist vs a 205 lb cyclist(me)…. For tests longer than a few seconds, rotating weight and static weight are equivalent. Heavier wheels could only cause a MINUTE difference in time, even in longitudinal acceleration – it’s physically impossible for it to be otherwise. For that matter, I can spin up an unloaded rear wheel to 60kph with one hand without great effort; it’s a few joules of energy, which is stored until the wheel slowly decelerates. Car engines have flywheels to even out vibration – rotational inertia costs nothing in terms of energy. If you want to save energy, look at reciprocating weight…but no one is going to casually amputate their lower legs! Guys, It is one minute and half in constant power difference. Real world climbing or racing you are accelerating every two or three minutes to drop your partner. Acceleration of rotation mass exponential increases the power needed and the time to climb. Gustavo: this is a common misconception. The small accelerations are slower, but so are the small decelerations. 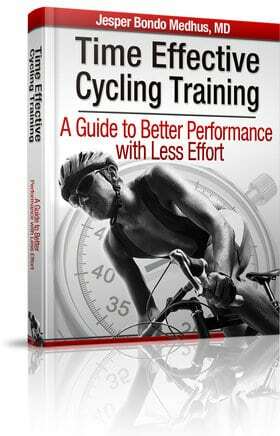 The result is a heavier bike will be slower coming up to speed but will hold that speed longer. Consider Franceso Moser used a heavy oversized disk wheel when he set the hour record in the 1980’s. In the end, whether the speed is constant or varying doesn’t matter much in the overall effect of additional mass. The exception would be if you need to brake after your acceleration, or if you need to stop pedaling, in order to slow at some fixed rate. Then you get the slower acceleration but the same deceleration. But for typical fluctuations in speed when climbing, this doesn’t happen. A quick remark about the weight in the wheels. I have a 10km climb close from home. I did my best time with some Cosmic carbon wheels and not with light “climbing” wheels. When I’m alone in time trial, the weight at the circumference is helping to maintain a constant speed. But it is requiring more energy to accelerate. So, we have to consider several elements when selecting the right wheel for a course. i.e. if the downhills are fast, I hate the climbing wheels, I feel really safer with a time trial wheel. Few years later, I have found the wheel that I’m using for most of the race: Zipp 404. They are so light that they are easy to accelerate and with the high profile, it helps for the flat or downhill. Just to clear; “only” 3 bars is a massive 43.5 PSI. I’d be very interested to know what the benchmark tyre pressure was and if the rider was rolling on the rims after taking out 43.5 PSI of pressure. Hi jasper. Not sure if you will return this email but it’s worth a try. Iv time trialled for 5 years. Best 10 23 50 best 25 1hr 4 secs. I weigh 100kg. LOVE THE TURBO. I am lucky I can spend a fair bit so have the gear..but I guess not much of an idea..!! Use power stages meter. Have nice bikes. I love cycling but I have an enormous sweet tooth. I really want to win a race to make my kids proud. I suffer from mental health issues so take me ds. I really want to smash it and win my local tt series this year. I have 7 hours per week to give. Pls can u help me.?? That would actually be consistent with the test as I believe the avg speed was constant on the whole distance. (o.e. not much difference. Some people seem surprised with the low pressure time being virtually the same as high pressure. This is simply due to low speed, when rolling resistance is not much different.